Proud to be one of the dedicated journalists participating in the TAWA Truck Rodeo last week. Here is a quick peak at the “new” guy who walked with the prestigious title of Truck of Texas. You might be surprised at first, but not once you drive it! 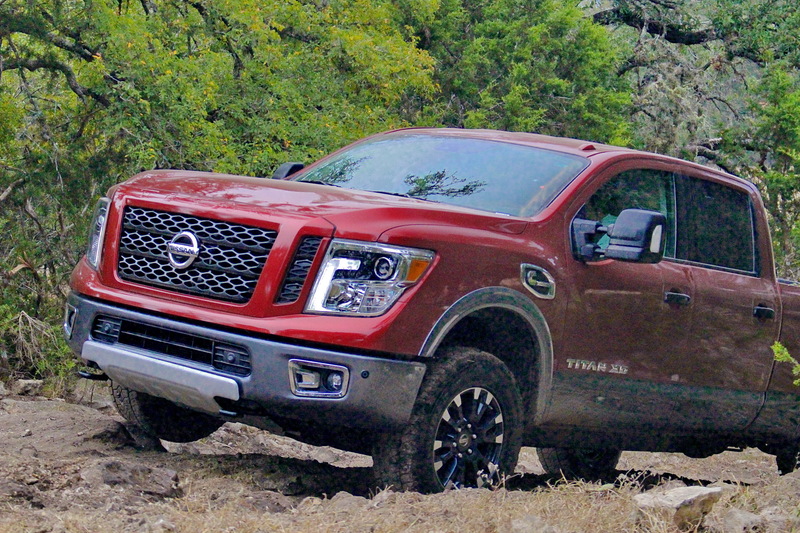 Texas Auto Writers Association (TAWA) named the 2016 Nissan Titan XD the Truck of Texas, marking the first time for a Nissan truck to win the prestigious title. 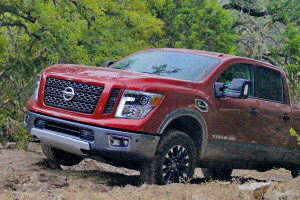 The Nissan Cummins® 5.0L V8 Turbo Diesel and Aisin powering the new Titan also received Best Powertrain Award, while the Titan XD Pro-4X won best off-road pickup; the Titan XD Platinum Reserve won luxury pickup truck; and Nissan’s Murano Platinum won mid-size CUV award. The 2016 Ford Explorer was named SUV of Texas and the 2016 Volvo XC90 was named CUV of Texas. 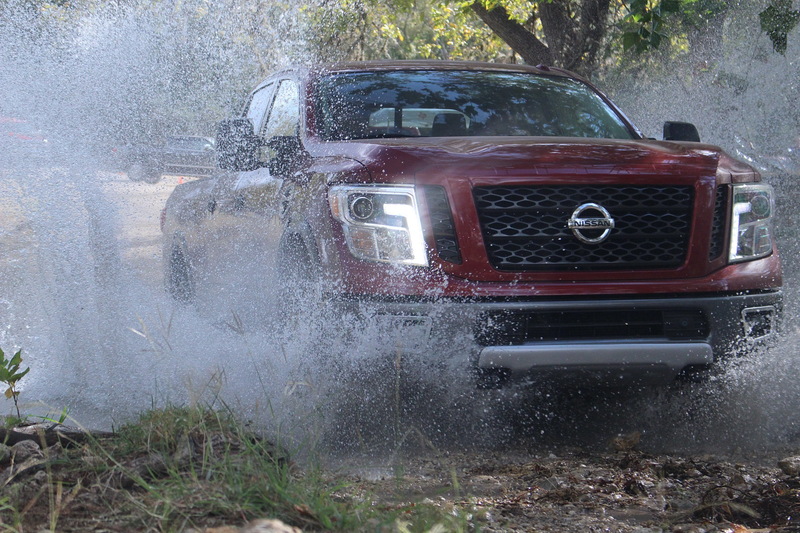 The 25th TAWA Truck Rodeo, sponsored by the Steel Market Development Institute (SMDI), with lunch sponsors BFGoodrich and Michelin Tires, was held at the historic Knibbe Ranch near San Antonio Oct. 7-9. The event was especially competitive this year with 88 vehicles available for 69 TAWA media members to test both on and off road. TAWA members evaluated the off-road vehicles while climbing rocks and crossing creeks, while the smoother drives on the road might include pulling trailers. TAWA members evaluated pickups, SUVs and crossover utility vehicles whose combined sticker prices totaled almost $4 million. Several TAWA members commented on how helpful it was to have engineers from the competing companies available to answer questions. It also aided the evaluation process to have side by side comparisons for on/off road driving and towing capabilities. The Texas Auto Writers Association, Inc. was founded in 1985 by automotive journalists who wanted to provide an avenue of professional growth, development and networking. These professionals sought to create an automotive event that was unique to Texas, and the result was the TAWA Truck Rodeo. Since 1992, Truck Rodeos have been held in San Antonio, Houston, Dallas, Fort Worth, Granbury and Spring Branch. In 2003, TAWA created an event for sedans, sports cars, and other vehicles not eligible for the Truck Rodeo. The Texas Auto Roundup, as the event is called today, is held at the Texas Motor Speedway in Fort Worth. 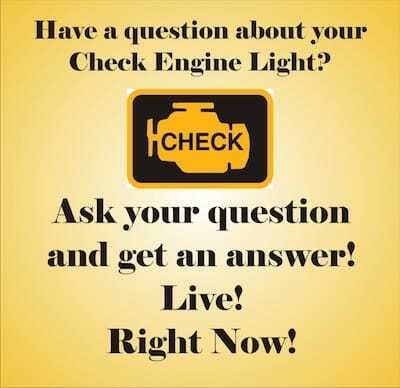 For more information, visit www.texasautowriters.org.